State now has 1,212 districts statewide, up 127% in two decades. 9 percent aren’t covering costs. 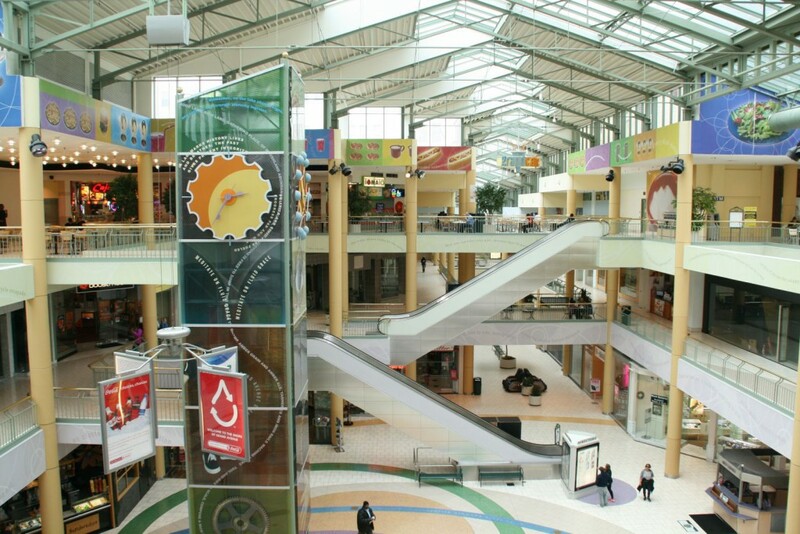 Shops of Grand Avenue Mall. Photo by Jeramey Jannene. Tax incremental financing (TIF)—the main development tool of Wisconsin cities and villages—has grown from 534 TIF districts in 1994 to 1,212 in 2015. While most TIFs are successful, local governments have designated 106, or 8.7% of the total, as either distressed or severely distressed. This indicates that district tax collections do not cover district costs. A new report from the Wisconsin Taxpayers Alliance (WISTAX), “The Municipal Development Tool—TIF: How Does It Work? Is It Necessary? Risky? Overused?” explains tax incremental financing and explores how it has changed during 40 years of existence. WISTAX is a nonpartisan research organization dedicated to citizen education. Successful tax incremental financing requires private development to generate tax revenues to fund public investment. Sometimes that investment does not materialize and local taxpayers foot the bill. In 2009, lawmakers allowed cities and villages to identify TIF districts, created before October 2008, that were unable to meet their financial obligations. A review of these distressed districts show that over half (54 of 106) were created before 2000 and were likely struggling prior to the 2007-09 recession. Twenty-nine were created during 2005-08, and for those, the recession was the likely cause of the distress. The new report highlights major departures from the original 1974 TIF law that targeted urban areas that were blighted or suitable for industrial development. Today, only a third of all TIF districts are in urban areas. In fact, 43% are in communities with fewer than 5,000 residents. Cities with 60,000 or more residents house just 14.3% of all TIFs. A 2004 state law change added “mixed use” as an eligible type of development. A mixed-use project includes a combination of commercial, industrial, and residential properties. Of the 673 districts created since 2005, 284 (42%) were of this type, WISTAX said. Mixed-use TIF districts now comprise nearly 25% of all districts in the state. To attract private development, cities and villages spend public dollars on infrastructure (streets, sidewalks, sewers, etc), remediation, or sometimes grants to developers. Property taxes from the new investment are used to fund those costs. State law limits the life of TIF districts to between 20 and 27 years, depending on type. However, they must be closed earlier if costs are repaid. Once the district is closed, property taxes from the district go to fund municipal, county, and school services. While TIF seems fairly straightforward, WISTAX cautions that the level of TIF investment needs to be carefully examined. The greater the public expenditure, the more private investment needed to repay TIF costs. If needed development fails to materialize, local taxpayers are responsible for unpaid costs. Likewise, if the municipality underinvests, businesses may not find the site attractive. In that case, despite limited public expenditure, there is little or no private development to tax. Again, local taxpayers are on the hook. Another risk is dislocation, particularly with mixed-use districts. Sometimes such districts are not downtown or in a main commercial district. New retailers may draw customers away from established stores. In some cases, retail stores move from the traditional commercial district to the TIF district, adding little value to the community. Great success! 91% are cover their cost and of that most have more than covered their cost and are having a positive effect on the tax rolls! I agreet that TIF districts are a great tool but someone needs to start enforcing which ones are valid and which ones are not. I think Oconomowoc’s two TIF districts are a classic example of the misuse of TIF. During the the housing bubble of the mid-2005, the city created a TIF district in the “blighted” cornfields near the interstate, which led to the development (or lack thereof) of Pabst Farms. Just the other day I heard some Milwaukee suburban shoppers saying they were looking forward to a really fun shopping trip to TIFfany’s (Chicago). I am an alder in a small community <11,000, that has 5 TIFS. Combined expenditures exceed combined revenues, with the general fund making up the difference. Virtually all of the development in the 5 tifs would have occurred without TIF anyway. The local government has used TIF to subsidize doggy day care, retail auto repair, and farm implement dealers. The most successful tif is anchored by an ethanol plant that is subsidized by the Feds and that has its own high capacity water well so that it pays nothing in fees to support the financially strapped water utility. Now the city admin wants to use tif to annex 90 acreas of cornfields to attract anyone seeking a handout. It should be noted that 3 out of the 5 tifs could be designated as distressed but for variety of reasons they haven't been. My bet is that the number of distressted tifs around the state is at a much higher percentage than the small amount that have gone through the process of being declared distressed. TIF is a bad law getting worse and is the pet of special interests i.e. bond counsel, city plan consultants, financial "advisors". The law should be curtailed severely to limit its use to manufacturing.